Questions for VietAbroader (QVA) is officially available at http://q.vietabroader.org! One of the most important projects of VietAbroader in our age of 10, Questions for VietAbroader (QVA) is a successor of VietAbroader, at platform which has served as the great start and the centre of VietAbroader during many years. Over months of brainstorming, developing and testing, QVA is an interactive platform for discussions about admission process, academic, and student life abroad. Along with many other programs of VietAbroader, QVA will play a crucial role in connecting generations of VietAbroader, who not only dare to dream big, strive to fulfill dreams, but also empower others in the community to do so. A different way to ask questions. Questions need to be answered, not just discussed. A ranking system for questions and answers. You can help us filter high-quality content. A better reward system for users. QVA values your contribution. 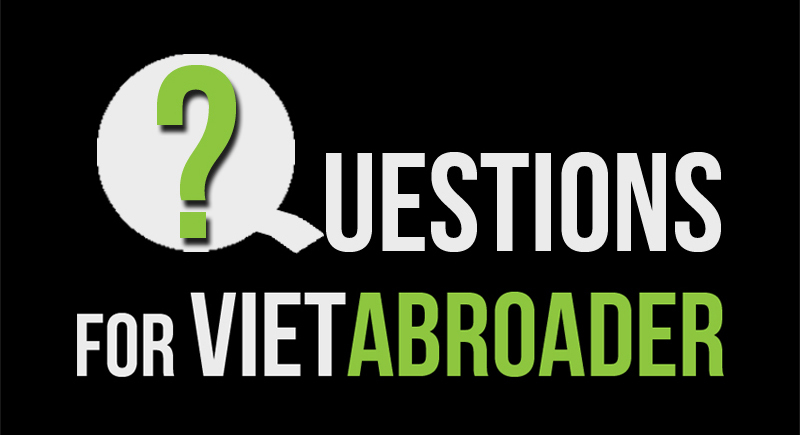 See you at Questions for VietAbroader (QVA)!